I have pictures of the members this time! Yaaay! Side note: Yoo In-Na is freakin’ gorgeous!!! Team A’s handshake, cheer thing is pretty cool looking. Just saying. Press conference time. Look at them looking all fancy and thug like for the camera. Back to practice. 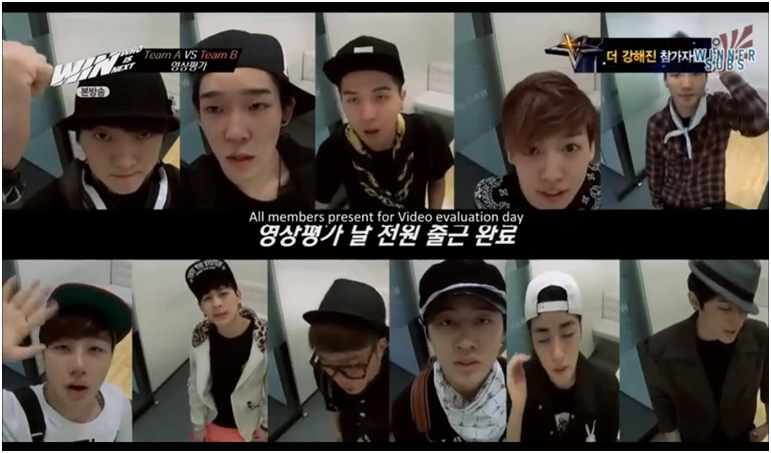 Team A and Team B choose songs for their monthly evaluation. Team A decides to go with Alicia Keys’ New Day. 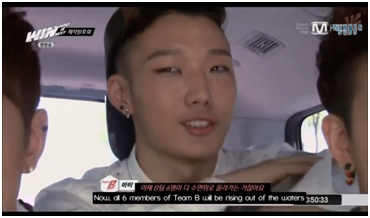 While Team B goes with T-Pain’s Turn the Lights On. 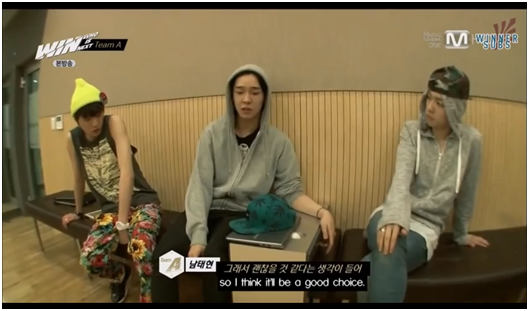 Team A running into problems when their main vocal, Tae-Hyun, doesn’t feel comfortable with the song choice anymore…even though he was the one who chose it. Sigh, don’t cry, you can do it!! 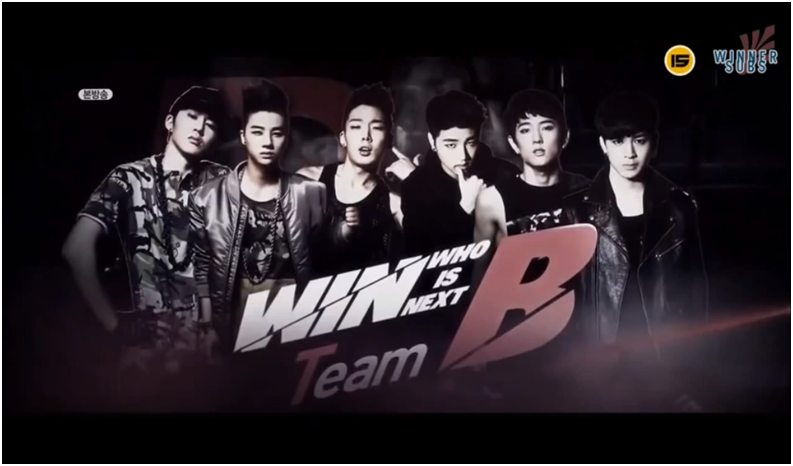 Team B is doing better. But the one kid, I think it’s Dong-Hyuk is having problems following the rhythm. 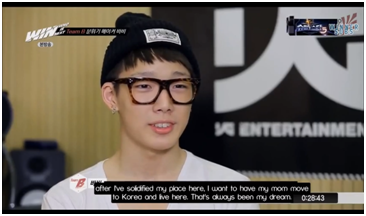 But with Bobby’s help everything is fine. Yaay Bobby!! Video evaluations happen before the actual monthly evaluation. This time Papa YG surprises both teams with a visit and doesn’t have pretty things to say about either group. 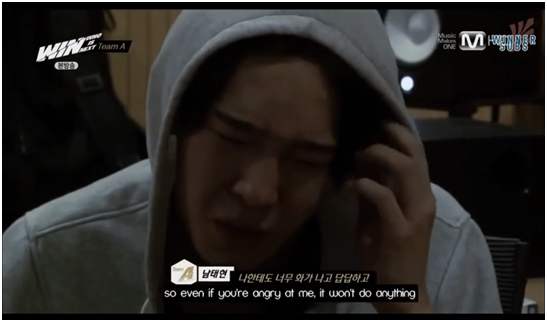 It’s our favorite diva from Team A, Nam Tae-Hyun. Can you guys hear Almooooost Paradise playing in the background? 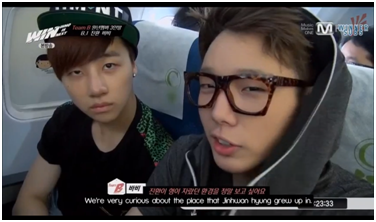 3 musketeers: B.I., Jin-Hwan, and Bobby. 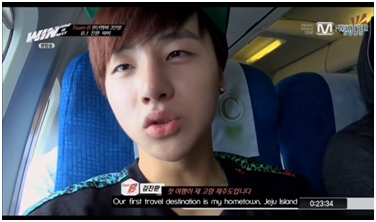 In the second picture B.I. 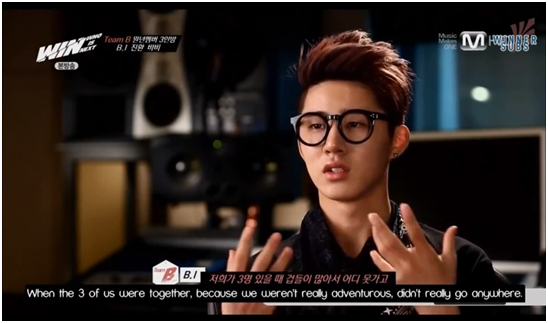 says because they weren’t really adventurous they didn’t go out much. In the Korean part though the word 겁들이 appears which kind of means being cowards. So he’s literally saying that they’re scared of a lot of things that’s why they didn’t go out as much. What cuties, haha! ZICO!! I knew Min-Ho looked familiar. 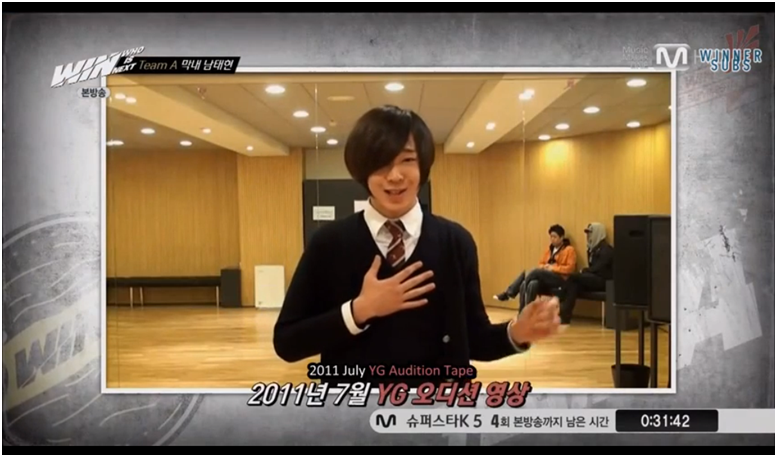 If you guy didn’t know Min-Ho was in a group called BOM, but they disbanded. 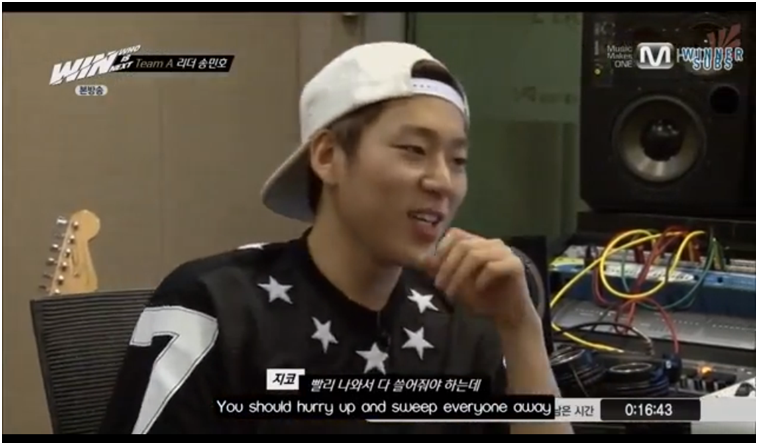 Zico and him have frequent twitter conversations. …rafting. 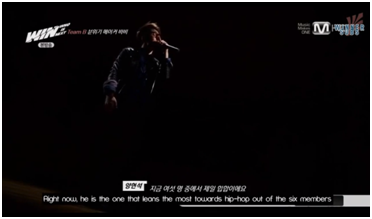 Good one YG. Nothing like good ol’ water to get a team communicating. By the way, isn’t that a gorgeous picture, haha! 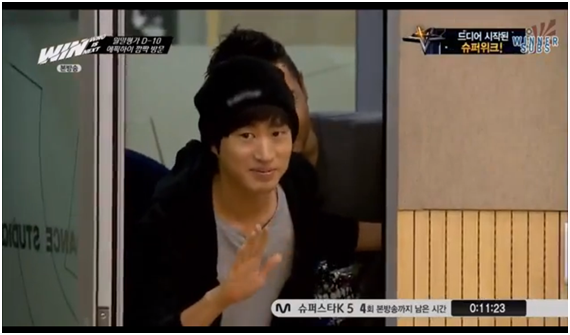 Epik High!!! They come to visit both teams. After watching both teams practice, Team A seems to be the upcoming victor. Or are they? In episode 2 we get to see more of the dynamics within in the teams. Team A seems to be the newer team, well not the newer team but more like the last minute team. 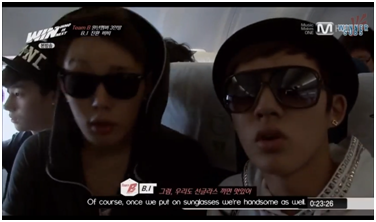 I don’t think they’ve had enough bonding time like Team B. 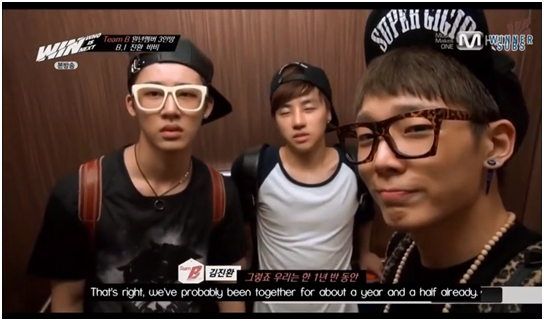 With that, Team B having the 3 musketeers is a huge advantage for them because they already have that chemistry. Half the group already knows each other’s strengths and weaknesses. 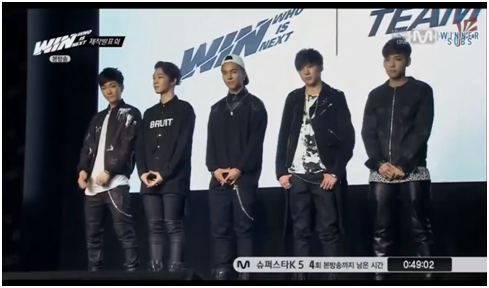 Now all Team B has to do is to adapt to the other 3, which I think they’re doing wonderfully. It seems like the 3 musketeers already have that mind set to take in the new members and help them out at all costs. 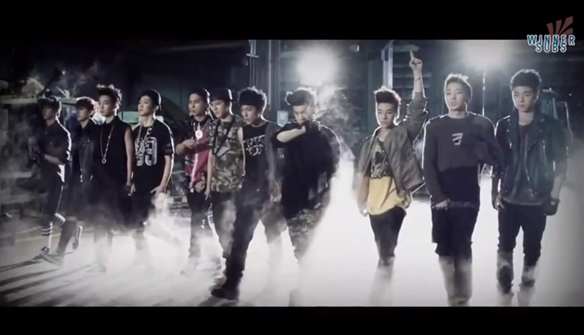 On the other hand, I feel like Team A is that group of misfits. 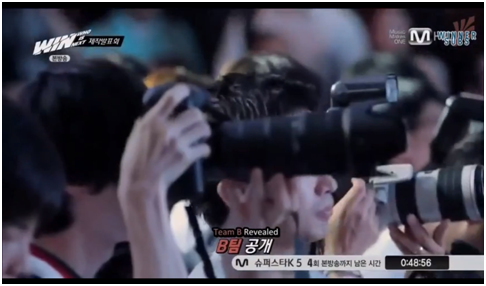 Calling them leftovers is too harsh, but because of their skills and abilities YG thinks that this team will work. I agree, I just think they need to spend more time together and be more flexible. 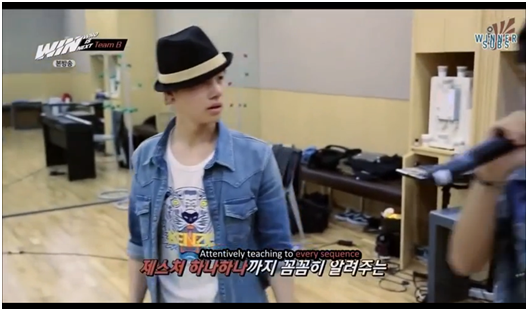 Every time I watch them during their free time, time they’re not practicing, it seems very tense. 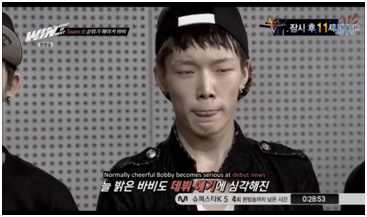 Unlike Team B where they always seem to be relaxed and goofy (let’s all thank Bobby for that). I feel like what they need is to be locked in a closet and just talk. Time in the practice room does not count, and neither does eating time. 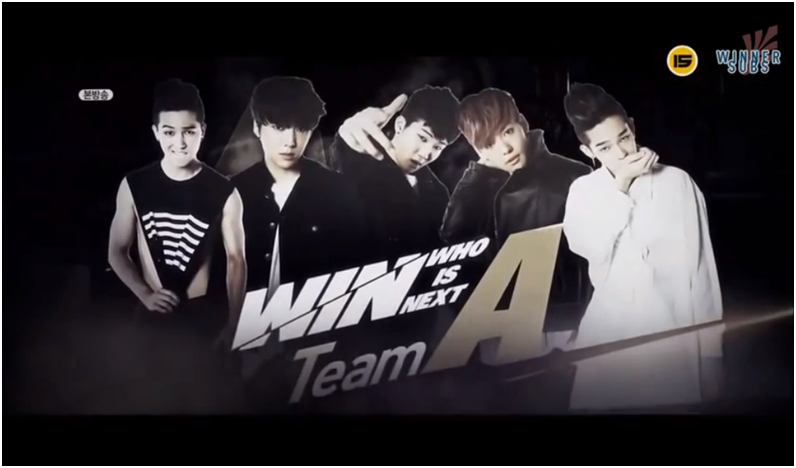 Even though I’ve praised Team B, my heart is still for Team A to win. But that could change. 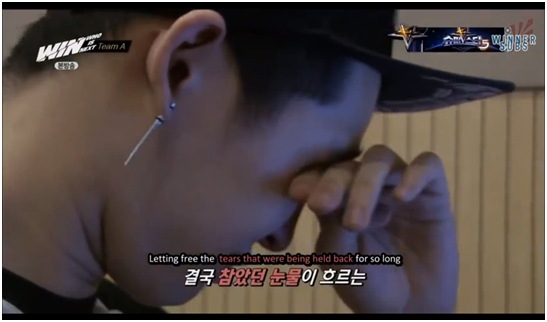 For those of you guys who have watched the episode, did you guys find the vocal coach to be biased towards Team B? 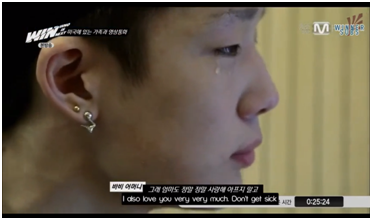 I mean he sounded so much nicer to Dong-Hyuk when he was off-beat when compared to Tae-Hyun. The vocal coach was like that too in episode one. Let me know what you guys think in the comment section. 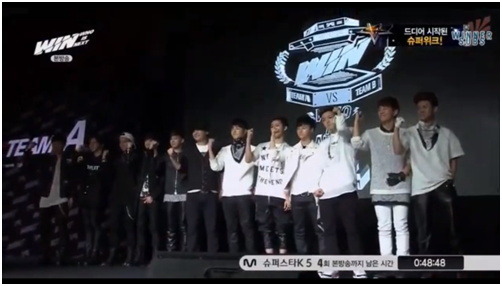 Performance wise, I think Team B is really good compared to Team A. As everyone can see (or maybe just me), they have a great leader leading them into winning the monthly evaluations. 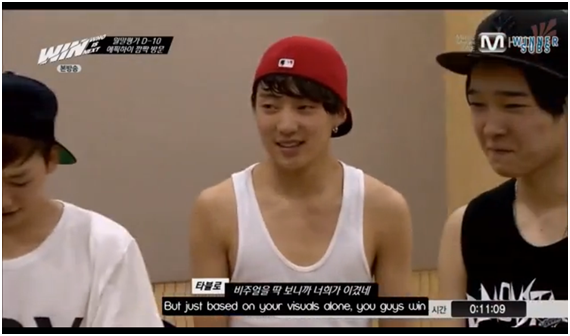 With that, the Team B is getting more and more noticed with people and from what I am seeing, a lot of people wants them to win so they have some confidence more than Team A. But, I do personally root for Team A to win at the end. Even though, at first, they did not had a good sense of team work, they slowly built that and they became closer. 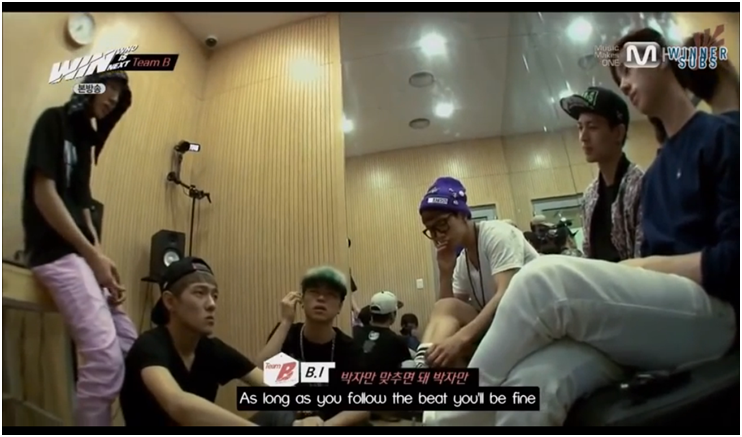 I believe that they work ten times harder than Team B for obvious reasons. 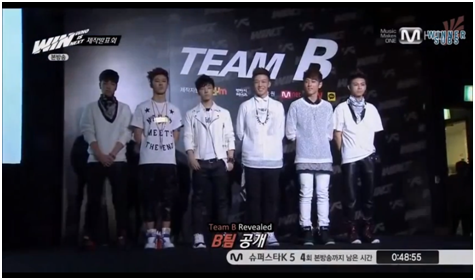 Going onto the your question, I believe that there is a bias towards Team B. Like I said, they are won all of the evaluations and they gained a lot fans rooting for them. 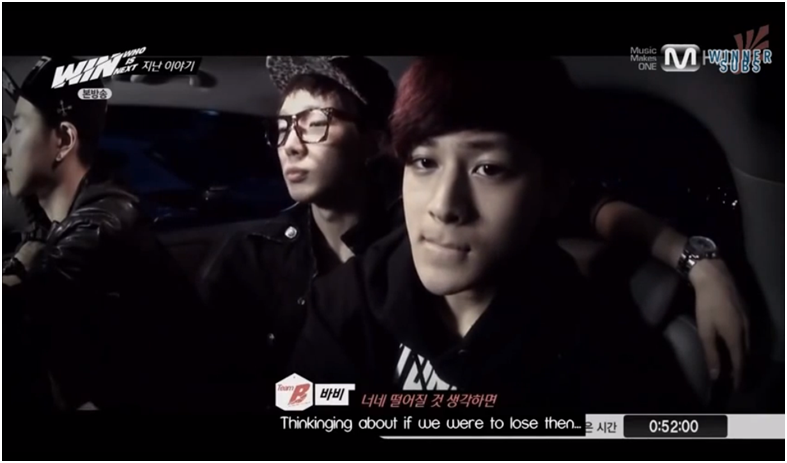 It seems that he is also rooting for them to win and not Team A and that is not fair. 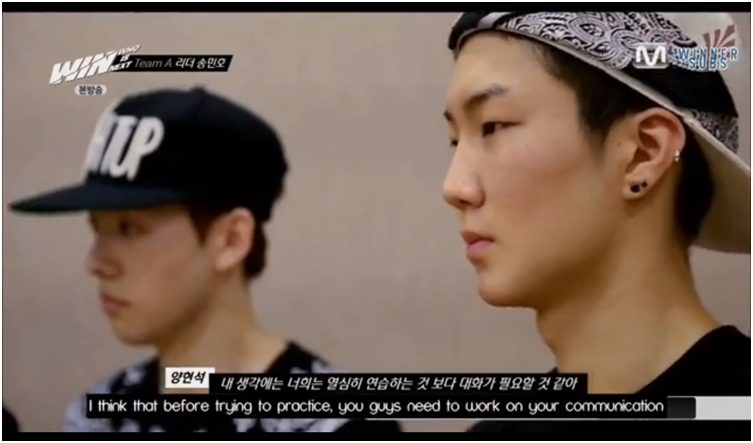 As a vocal coach, he has to put aside his personal feelings and just focus on improving Team A and B’s skills equally and giving them pointers on how to get better. He has to realize that there will be only one winner and the losing team could either train some more or be disbanded so there is a lot of pressure. As their teacher, he also needs to encourage them. Team A is being haunted by their loses. I just hope that they surpass. 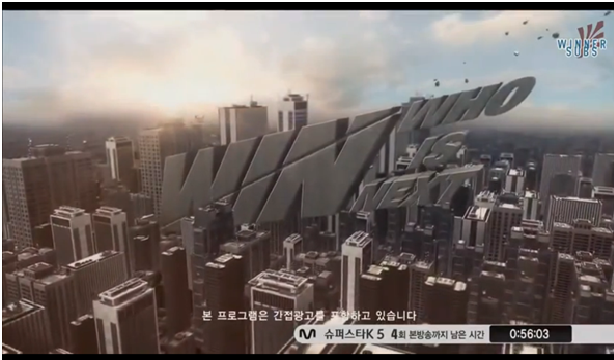 Team A fighting!!! !